Dave Walsh has discovered there was a Wine and Spirits merchant called “James Thompson Wood” living at this house in the 1901 census. Bill Danby has come up with the following which certainly seems to fit sign. From an immediate search of my website, the Parish Rate book of 1913 shows that the premises 5-7 High St were still occupied by James T Wood and owned by James Thompson. Rates were 13s 5d [about 67p] The Directory for 1937 shows that the shop was still a wine and spirit merchant, but now occupied by William Thubron. In the 1940’s it was still Thubron’s and I would say the bottom half of the remaining letters look more like THUBRON than Wood or Dowson as suggested on your webpages. I can personally vouch for the existence of this shop, as when I was aged about 9 in 1949, I went carol singing with my mate Maurice Ward. With the amazing 7 shillings earnings for sacred songs, we bought a bottle of port at Thubron’s and downed it between us and therefore had our very first hangovers. Did not stop us boozing though. From memory Thubrons also had a shop in Manless Terrace, Skelton Green. I cannot say when the businesses ceased to trade. Rushpool Hall has very strong links to the ironstone industry, especially as it is built from main seam ironstone from the Skelton Shaft mine, for John Bell of the Bell Brothers company between 1862 and 1865. After Bells death in 1888 another ironmaster Sir Arthur Dorman of Dorman Long lived in the house. 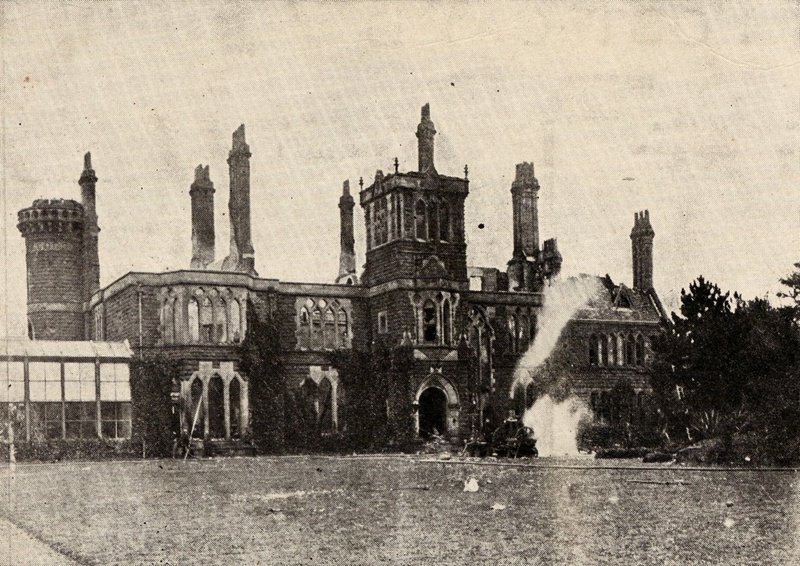 The hall was nearly destroyed by fire on 20th February 1904 after which it was renovated and lived in by Sir Joseph Walton, colliery owner and MP. The original knitting was removed, repaired and returned just in time for the Olympics with this additional item. I didn’t visit during that period, but I assume this addition must have come after the athletes success. TSS Dover was a cross channel car ferry built by Swan Hunter on the Tyne in 1965. In 1977 she was renamed the Earl Siward and in 1982 the Sol Express based in Cyprus. Most people however know her under her last rename as the floating nightclub Tuxedo Royale. After a spell at Able UK ship-breakers near the Hartlepool Nuclear Power Station she is now back at their site on the banks of the Tees, listing.